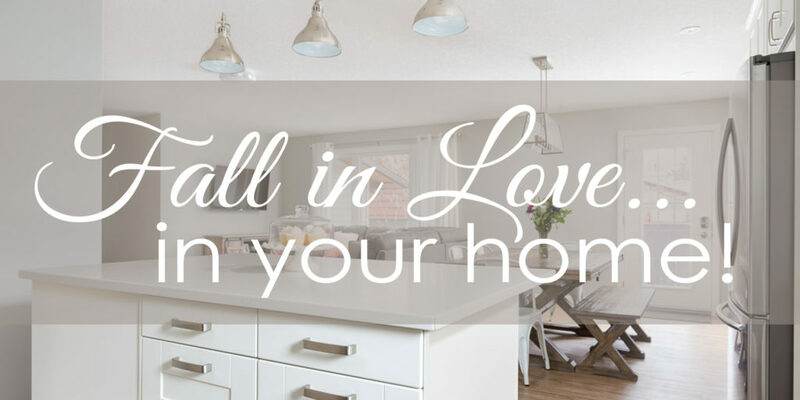 > Calgary’s Home Renovation Blog > Construction Experience > Fall in Love… In Your Home! You might have just thought that the title of this blog has a grammatical error. I love it that you caught that! It was intentional that I called this blog Fall in Love… ‘In’ Your Home, versus ‘With” Your Home. 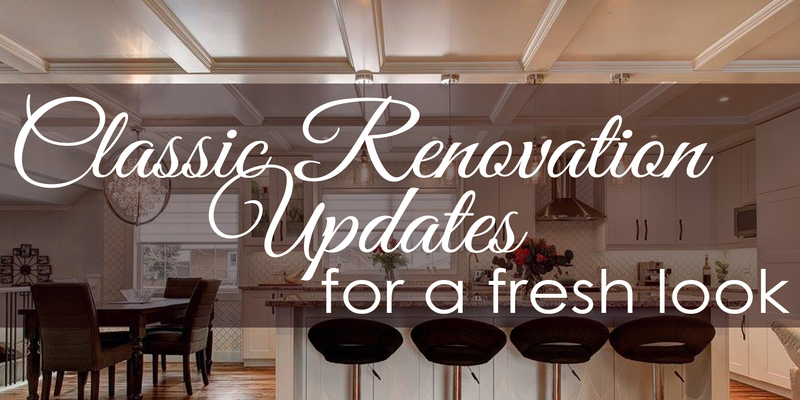 Let’s chat about a topic that is sometimes brushed under the rug, and how an artful renovation might just be the perfect solution if you have this issue in your home… are you aware of how poor functionality of some areas in homes can lead to recurring arguments and frustrations? Have you ever lived in, or are you living in a house that has areas that just didn’t work well for you? This could be your kitchen that feels cramped and has wasted space, or a bathroom that doesn’t help you start your day out with a peaceful easy feeling. Or, what area of your home continually bothers you, or what area of your home have you learned to just live with because it seems like there is no way to fix that space? 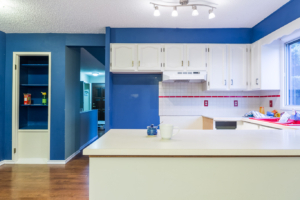 You may be so used to living in your home that you’re not even aware of these areas, but find yourself being frustrated at regular intervals because of a space in your home that just doesn’t work. These ‘pain points’ in your home will be areas that aren’t functioning according to your habits and how you’d really like to use these spaces. It’s interesting how families and relationships are fostered in our homes, yet we rarely talk about how poorly functioning areas of our homes don’t serve our purposes of living together in peace and harmony. So, on that note, let’s talk about how your home can be modified to really suit your needs! Prior to working on home renovations, I owned a Calgary based residential cleaning company. Through the years that I worked in many different homes I got to know my clients very well. I began to see patterns of how poorly functioning floor plans, or homes without the proper storage in the right areas would cause what I call ‘recycled’ conversations about how one family member was frustrated with another family member. Now please know that one of my strengths is a genuine love for all people and for seeing the best in humankind! My observations of how some families that I worked for had recurring frustrations with one another didn’t come from a place of judgement, but rather that these observations began to create an inquiry within my own mind on why floor plans aren’t designed to better suit the functionality of how families live together in their homes. 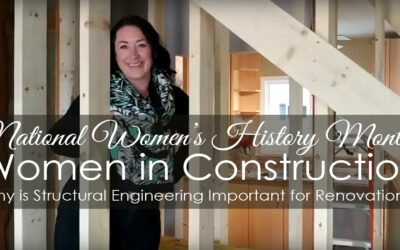 I believe that since construction has historically been a male dominated industry, and that not too many years ago the roles that society expected out of men and women dictated that the majority of homemakers were women, while the majority of architects, draftsmen and engineers were men. And then consider the fact that wood frame construction (which is the predominant style of construction of our homes here in Calgary) have been designed for and are able to last for hundreds of years. I have stood in homes in Switzerland that are over five hundred years old, and which have continually had generations of families living in them! As we have evolved as a society where more women are working in the construction industry and more men are working from home, the collaboration that leads into our modern-day floor plans has led to better functioning homes. But if you’re living in a home that was built even two or three decades ago that doesn’t help you out; here’s where artful renovations can really help you adapt your home to perfectly serve you. 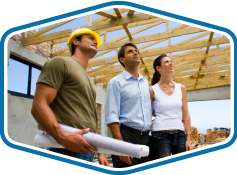 Since entering the residential renovation industry here in Calgary in 2005, I’ve continued to get to know our clients very well! All of the members of our team are trained in listening to what’s working and not working in how you are living together in your home, and by asking a series of intentional questions to get to know you better, a clear path for how your home can be modified to suit your needs begins to take shape in our minds. We recognize that you are the professional in your industry, and that we are the professionals in our industry, and to that end we love sharing and collaborating with you on different ideas of how modifications to the floor plan of your home can really make it amazing for you to live in! Here are some modifications we’ve made in our client’s homes here in Calgary in the last couple years. These updates may be possible in your home, and they are ideas which can help you start to think about creating a living space that is harmonious and fun to live in. 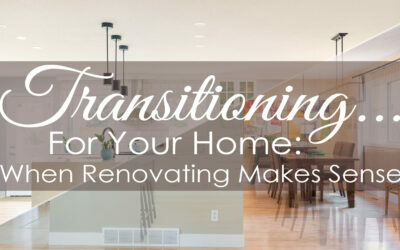 Remember, even a small renovation can make a huge impact on the functionality of your home. Completely changing the location of where your kitchen is in your home, and/or creating a completely new traffic pattern for how your kitchen functions. Moving locations of stairs so that landings are not a pinch point. Using cabinetry to create ample storage (storage behind doors for everything from shoes to toys helps your space feel less cluttered and busy). Combining rooms to create a master suite that is inviting and calming. 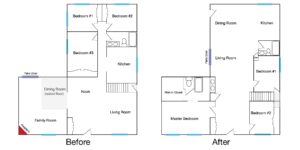 Changing/enlarging bathrooms to create a separate water closet and/or bathtub room off of the common area in the bathroom where the vanity is located (and consider changing to double sink vanities in this common area for bathrooms that are shared with multiple children). Replacing a railing in your entryway with shallow cabinets for shoe storage. 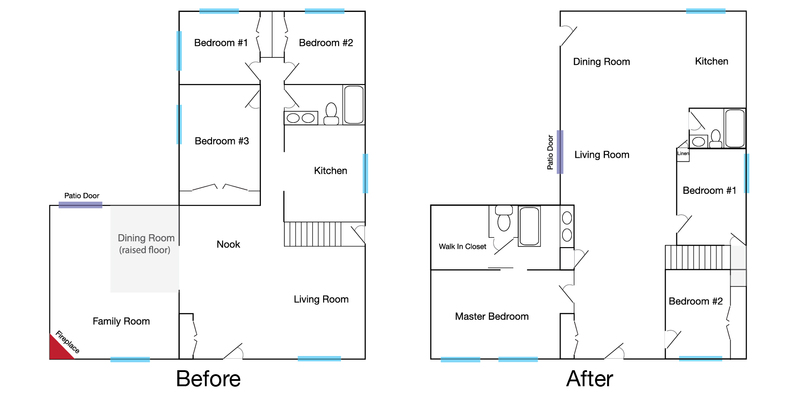 Adding a pantry over a stairwell in your bungalow so that your vacuum and other items can be stored on the main level. What are your ideas? We’d love to hear about them! You may think the ideas you wish were possible in your home are impossible to create. 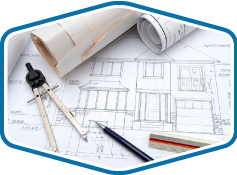 Chatting with a general contractor that specializes in renovations with structural changes, and who has a thorough understanding of the structure of your home and the building code requirements here in Calgary will help you understand how what you’d like to see may be possible by altering the layout of your existing floor plan. We agree with the advice shared in the last topic of this Forbes article on inviting a contractor to meet with you at your (new or existing) home to better understand the costs and options available in renovating your home. And we offer this service to our new and existing clients here in Calgary!